Today's fast processors generate a tremendous amount of heat. Without a good CPU cooler, a modern processor would burn out in mere seconds. 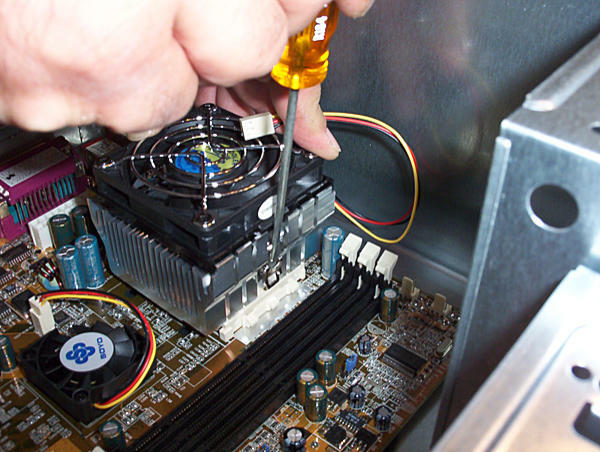 That's one of the reasons that this revision of the site includes a page dedicated to keeping your homebuilt computer cool. If you haven't read it already, I suggest that you read it now. Inadequate cooling also can result in data errors, performance problems, and reduced processor life. CPU manufacturers typically provide lists of "approved" coolers for their chips. These coolers may or may not be any better than other coolers, but using a non-approved cooler might void the CPU's warranty. To extend your homebuilt computer's life and maximize its performance while not running the risk of voiding the CPU warranty, I recommend that you use the best cooler you can find that has been manufacturer-approved for your particular processor. The processor cooler is not a place to skimp. It would be a shame to spend all that time and money to build your own computer, and then the CPU burns up because of a cheap cooling fan. Fan-and-heatsink CPU coolers are composed of three parts: a fan, a heat sink, and a mounting device that attaches the cooler assembly to the motherboard directly over the processor. Liquid CPU cooling systems consists of a CPU block (or "water block") that attaches to the CPU, a pump, a radiator, and hoses to hook them together. Sometimes these parts are combined into "all-in-one" liquid cooling systems. Another important element of the cooling system is something called "heat sink compound" or "thermal jelly," which is applied between the heat sink and the die of the processor to improve heat transfer from the processor to the heat sink. Many heat sinks come with a patch of heat sink compound pre-applied to the heat sink itself. The actual compound is covered with a little plastic tab during shipping. The heat sink compound pre-applied to a high-quality heat sink is usually fine for all but the most demanding uses (such as extreme overclocking). 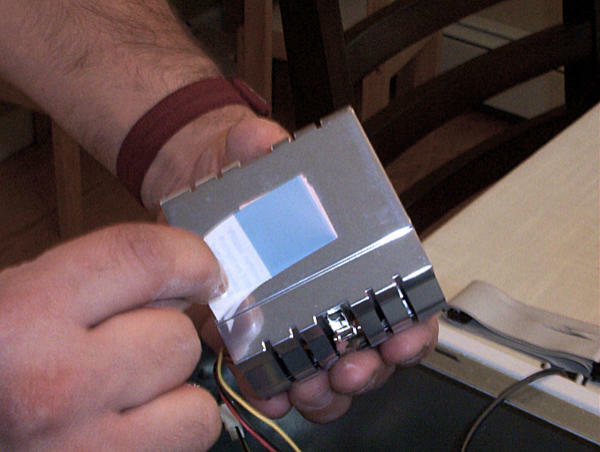 If you are using a heat sink with pre-applied heat sink compound, then all you need to do is peel the protective tab off the heat sink prior to installing the cooler. It's very simple. Forgetting this simple step, however, can cause serious damage to your processor. If your heat sink doesn't have pre-applied compound (or if you don't want to use the pre-applied compound), you will need to apply a thin coating of heat sink compound directly to the processor die. This also applies if, for some reason, you have removed and are replacing the heat sink. You have to gently remove the old jelly from both the processor and the heat sink and replace it with new jelly before replacing the cooler. The jelly doesn't go bad, but it tends to get air gaps in it when the heat sink is lifted from the processor. When it's necessary to remove old heat sink compound, do it gently. Wipe the jelly off the processor and the heat sink with a clean, lint-free cloth or paper towel. If there are a few stubborn spots, use a fingernail or a wooden tongue toothpick to scrape it off. I suggest you use a high-quality, silver-based thermal jelly like Arctic Silver. The difference in price between the good stuff and the cheap stuff is trivial, and high-quality thermal jelly will help keep your processor cool and comfy. Once you've applied the thermal jelly, the CPU cooler assembly is positioned over the processor and secured to the motherboard. Some motherboards use metal clips, some use plastic ones, and a very few have to be screwed down. Most nowadays have plastic pins that are pushed into the motherboard. Once they're in, they hold very well and are very hard to remove. Installing a liquid CPU cooler is pretty similar except that instead of mounting a fan on the processor, you'll be installing a CPU block (or "water block") on the processor. The CPU block in turn is connected with hoses to a pump and a radiator or to an all-in-one CPU cooler. The radiator (and fan, if any) usually are mounted in one of the fan openings in the case. Liquid CPU cooling systems maintain more consistent control of CPU temperatures across all processor load conditions, but especially during sustained, CPU-intensive use such as gaming or video encoding. They're also considered a necessity by most computer hobbyists who overclock, and are much quieter than fan-and-heatsink coolers. Notice that on older bail-type sockets, both the socket and the heat sink are offset from center a little to accommodate the bail. Make sure you install the cooler with its offset on the same side as the offset on the socket. 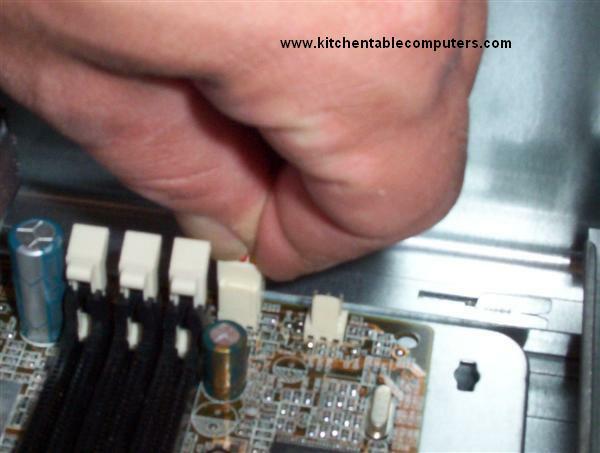 In this picture, my brother had to use a slotted screwdriver to gently, but firmly, hook the retaining clips under the tabs on the processor socket, being very careful not to let the screwdriver slip. If it had scratched the surface of the motherboard, the mobo could have been ruined. Luckily, most modern cooling assemblies use plastic pins that simply slide straight down over the processor into holes in the motherboard or the processor mount. These newer types of assemblies don't require any tools to install. Don't forget to plug in the fan! In most cases, it will plug into a three-pin connector on the motherboard that is (appropriately enough) labeled "CPU Fan" in teensy-weensy letters. This is to allow the computer to control the fan speed based upon how hard the processor is working. If you want, you can "hotwire" the fan using an adaptor that directly connects it to the power supply, which causes it to spin at full speed all the time. That's not a good idea for most users. It creates a lot of noise, uses more power, and causes the fan to wear out sooner. Some people also believe you can "over cool" the CPU by running the fan at full speed all the time. I personally don't think that's possible unless you're using the computer outdoors at the North Pole, but some people disagree. In most cases, you also can disable the fan speed control in CMOS setup. That has the same effect as hotwiring the fan, and I don't recommend it. The automatic settings are fine for most users. If you want a little extra cooling, check your motherboard manual to see if there is an option in BIOS to increase the fan speed. Many have settings for "high performance," "gaming," or some other setting that will increase the fan speed across the processor's operating temperature range. 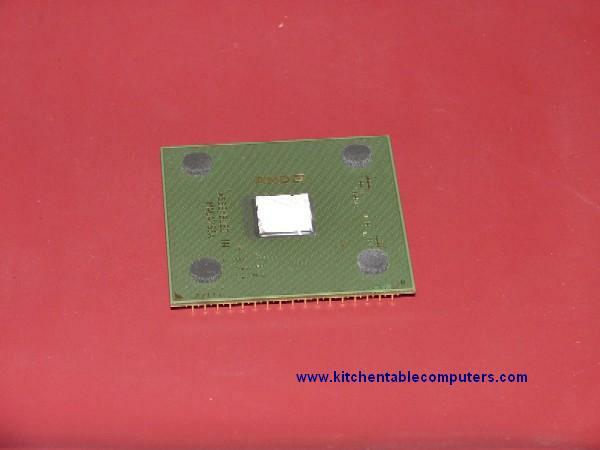 Most modern motherboards also have a chipset cooler, at least on the Northbridge chipset. These are almost always factory-installed and are adequate for all but the most intensive use. Just blow the fan out with canned air once in a while. You only need to replace it if it stops spinning or starts making noises, which doesn't happen very often. If you do find it necessary to replace or upgrade the factory-installed chipset cooler, the process is basically the same as installing a CPU cooler. The main difference is that chipset coolers usually are fastened to the motherboard using spring fasteners or plastic retainers rather than a metal clip. You may need to have access to the back of the motherboard to remove the fasteners, and you may have to install new fasteners if the old ones can't be removed without breaking them. Now that we've installed the cooler, let's move on to the next step: Installing RAM.